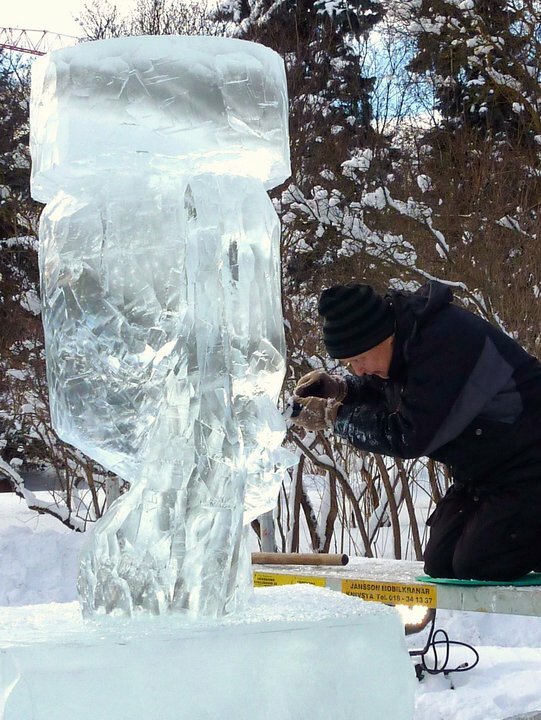 13 artists were participating, many had experience from the Ice Hotel in Jukkasjärvi. 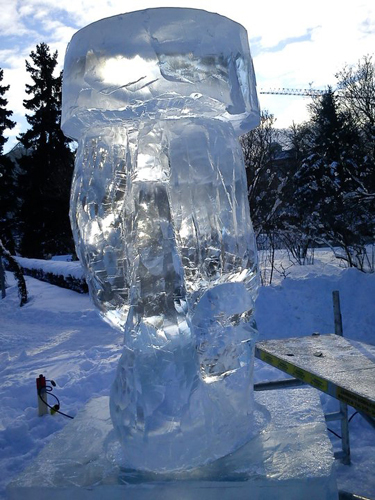 My sculpture was called ”Up through the ice” and stood in the Town Garden. The sculptures were especially beautiful at night when they were lit up by spotlights.